You have a deep desire to grow and this is what is the most powerful success tool. What needs to be done is to harness this desire into definite action every single moment. There are two types of people in the world - the first who believe they stopped growing as soon as they touched 18 and the other who believe they have the power to grow every single moment. Before you read further, simply pause and think. Close your eyes and reach deep within. Make sure you do this before you read any further. I am sure you would have got an answer. I know very well what type of person you are: you are the type of person who wants to grow and that is why you are reading this and practiced the simple, yet powerful exercise of pausing and thinking. Growth isn't simply about making more money, or buying a bigger car or house. Growth is a state of mind and is a state of life. Growth is life and life is growth. Growing love, co-operation and harmony among friends, family and co-workers is growth. Making sure you understand everyone around you is growth. Upgrading your personal knowledge and skills is growth. Investing in your personal mental, physical and spiritual happiness is growth. I have studied how very often, a higher pay package, without changing other key areas, ends up reducing happiness levels in people. So while people keep getting promoted, keep making more money - their overall happiness keeps reducing. This is because the power of growth isn't being used. Growth in a larger sense is the simple belief that life is incredible, and only when we realize this can we bring in immense change. Imagine yourself being paid a large amount of money. Any figure you desire - you have it. But while you are being paid all this money, you have no control over your personal time. So you can be called absolutely any time to your workplace. At any moment, you might need to attend a meeting. At anytime, you might be requested to send in a report or email. You can barely plan your personal time as you are totally clueless on when you might be called. How does it feel? How do you think your productivity at work would be if you always felt this way? Now imagine, you are probably not the highest paid person in the industry - but you have complete control over your time. In addition to work, you feel yourself growing in other areas. You are spending time with your friends and family. You are even practicing a sport or hobby you always wanted to. Your meetings and work are clearly scheduled and your time is used efficiently. At work, you believe every moment of your time is being used efficiently. How does this feel? How do you think your productivity would increase at work? 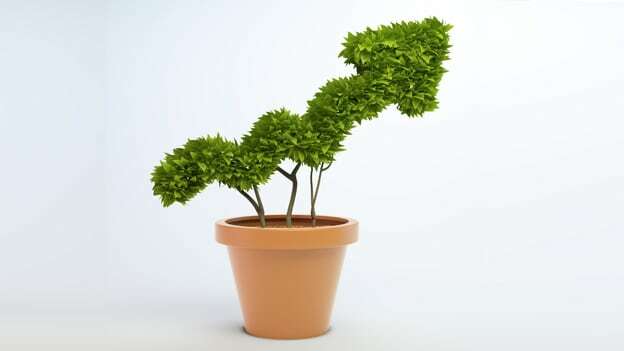 Do you think you would harness your power of growth more? Today the most revolutionary and path breaking work places who work closely with The Happionaire Way understand that people don't simply want more money. In fact, almost always happiness levels among people can be increased substantially by adopting strategies that have nothing to do with increased pay packages. This is the future of work - to make sure the human mind is empowered in every possible way for maximum growth. And believe me these people and organisations end up bringing in a lot more sales, profits and creativity - simply by instilling what is most important and powerful. Disclaimer: This blog was first published by Yogesh Chabria on LinkedIn. Yogesh Chabria is the founder of The Happionaire® Way.